Revolutionizing the way young minds grow through state-of-the-art technology. St. Luke’s enhances classroom learning with technology as early as preschool. Providing teachers and students access to technology is transformational! Technology in the classroom allows for instruction to be student centered, collaborative, and focused on higher order thinking skills. Parents are able to be involved in their child’s learning through online access to grades and assignments via the web or phone app. All classrooms have their own Chromebooks. These Chromebooks make it possible for students to work with technology and online curriculum independently or as an entire class. In 3rd-8th grade, every student has a Chromebook giving them a one to one classroom environment. Student curriculum, resources, and correspondence are all accessible online. This makes student engagement in the classroom and at home seamless while keeping parents informed. St. Luke’s classrooms are now untethered! This means teachers are not constrained to their computer or the front of the classroom. 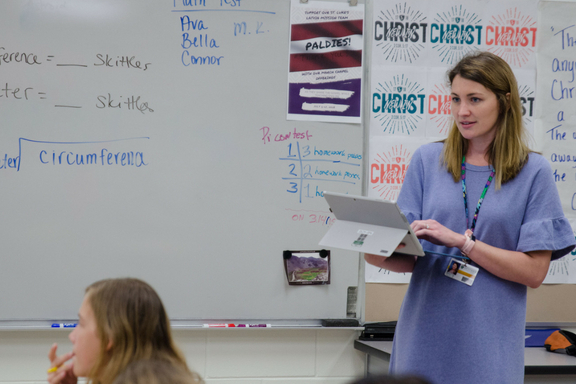 They are now able to interact with students more efficiently by moving about the classroom with wireless tablets to allow students to project their work and ideas for beneficial discussion and learning. 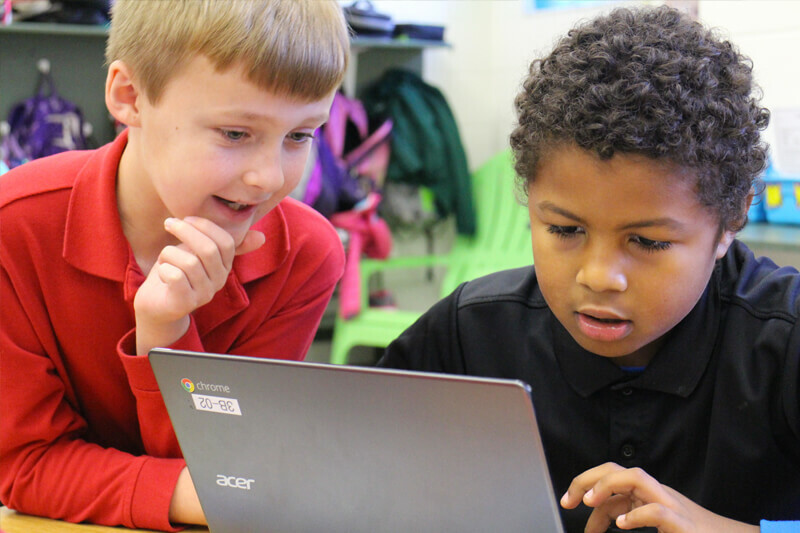 Our Technology curriculum is carefully designed to increase student engagement by connecting, collaborating, and creating through Google’s G Suite. Students are provided opportunities to think analytically through technology tools and equipment, such as coding and 3-D design. Pre-K at St. Luke’s features the ‘Alive Studio’ program—an interactive 3-D reading and math resource designed to hold the attention of younger students while teaching them the fundamentals of letter/number recognition, as well as beginning reading skills. The elementary grades utilize BeeBots in all classes. BeeBots are designed to teach students a variety of educational lessons, while introducing them to basic robotics and coding fundamentals. This space enables students to gain hands-on experience with a 3-D printer, mobile-app development, and robotics. These, and many other tools, are used in correlation with our middle school engineering electives.